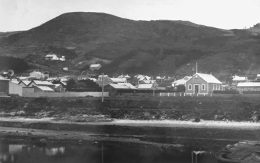 Bishop Wallace was baptised at birth in the church at Ōnuku by a Rātana priest, and was raised at Little River by his grandparents. “The thing I remember back then is going to sleep at night listening to karakia, and waking up in the morning listening to karakia, all in the reo,” he says. The role of Bishop of Te Waipounamu was established in 1996, and Bishop Wallace is the second to be elected, and the first of Ngāi Tahu descent. He was nominated by Canon Bella Morrell of Dunedin, and was elected in September 2016 by members of the Anglican Māori Diocese, before being ordained at Ōnuku in January 2017. For the Bishop, being ordained at the same place he was baptised was particularly special. “It is like I have done a full circle and returned for a reason,” he says as he begins to tell his story. 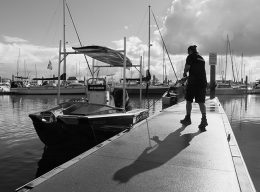 Motoring up the shipping channel of the Whangārei Harbour, Hayden Smith suddenly slows the Sea Cleaners boat and arcs it hard right. He’s spotted something in the water. It’s a piece of plastic, which he expertly manoeuvres towards before grabbing a net to scoop it from the ocean. He’s done this a thousand times before – it’s what feeds him, drives him, and helps to give his life purpose. 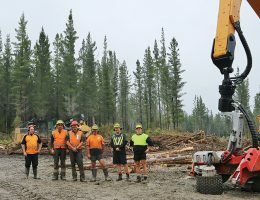 As the largest Māori commercial forest owner in New Zealand, Ngāi Tahu Forest Estates is keen to ensure a sustainable future. It is working with Development West Coast in the hopes of establishing additional bioenergy plants there, starting with a feasibility study. Bioenergy, as the name suggests, is energy from biological sources like wood and other plant materials, and can be used as a solid, liquid, or gas. It is renewable, unlike finite fossil fuels such as coal and oil. It is the most-used renewable energy globally, ahead of hydroelectricity and wind. It has become a major industry in many European countries and there is potential for this to happen in New Zealand as well. It is a haerenga to bring Moeraki stories to life, and to ensure that those on the Moeraki paepae know what they are talking about. 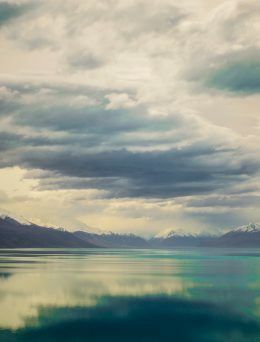 Sometimes the haerenga, which happens every few years, from the mountains to the sea. This time, the Moeraki rōpū is travelling from the coast to the mountains. Along the way they hear the whakapapa of the Waitaki Valley, and the importance of the Waitaki awa to Moeraki. They pass through the landscape as the kōrero comes to life. It is much more powerful this way, experiencing the kōrero among the majesty and power of the whenua, rather than listening to the stories at a wānanga. My favourite part of winter is looking at the empty spaces in the māra and planning for the coming spring growth. 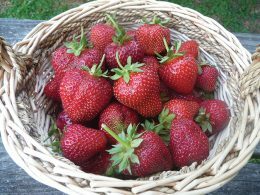 Even though we had a cool spring and summer, my strawberry patch was incredibly productive this year and rewarded my whānau for their foraging efforts. Having berryfruits in the māra is a real treat not just for one’s taste buds, but also for one’s health. This book came from a “Treaty on the Ground” conference held in 2016 at Tāmaki Paenga Hira Auckland War Museum. It is a sometimes awkward attempt to cover the wide-ranging offerings of some of the participants. 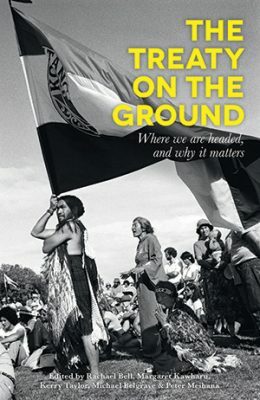 The phrase “Treaty on the Ground” is from Pākehā historian Ruth Ross’ 1972 piece attacking the “woolly-mindedness” that had allowed the Treaty to become all things to all people. The conference covered developments from 1945 to the present – although David Williams also traces links to Te Tiriti back to the Magna Carta – with a broad variety of offerings. Dr Emma Wyeth belongs to the Parata, Ellison, and Taiaroa whānau. 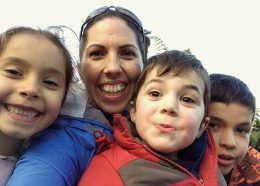 Emma grew up in Karitane where many generations of her whānau have lived, and still do. 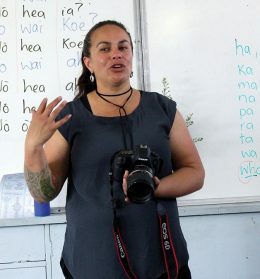 She is based in Dunedin, where she completed her studies in genetics, and has worked in the field of Māori public health in the Department of Preventive and Social Medicine Te Tari Hauora Tūmatanui at the University of Otago for the last 10 years. A voice sings out: Areare-mai-rā-ōu-tarika! Thirty-four voices sing back, in a chorus of different accents. Some are Aussie, some Kiwi, most of them somewhere in between. Some ring proud and confident; others cradle the unfamiliar Māori syllables like a new parent cradling their first child. Atholl Anderson and Brian Allingham were responsible for getting the Ngāi Tahu tribal rock art project kick started. Twenty-five years later, on different sides of the Pacific, both Gerard and Chris have also been immersed in rock art heritage. The pair first met a few years ago at a rock art symposium in Barcelona, and immediately realised the parallels in both their research and their whakapapa. 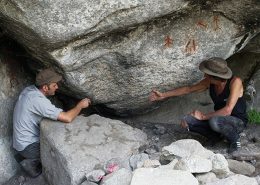 In May 2016, with their PhDs finished, they got together in British Columbia to support a local Indian band excavate at an important rock shelter, and to talk at the Nlaka’pamux Rock Art Conference, hosted by the Nlaka’pamux Nation Tribal Council, in Lytton, British Columbia.